Leonel Cano, director of Special Olympics Organization, reported that Cuba will attend this year two very important international events in which it aspires achieving good results. He added that the first of those contests will be the Special Olympics World Winter Games 2017, to be held from March 14 to 25 in Austria, where they will participate in the Floor Hockey event. Then, they will attend the Third Edition of the Special Olympics Latin America Regional Games based in Panama City, April 20 to 28, and the Cuban delegation will be made up by 15 athletes in the sports of athletics, swimming, table tennis and rhythmic gymnastics, Cano noted. He stated that the Special Olympics is an international athletic training and athletic competition program open to all people with intellectual disabilities, regardless of their abilities and skills, officially recognized by the International Olympic Committee since 1968. 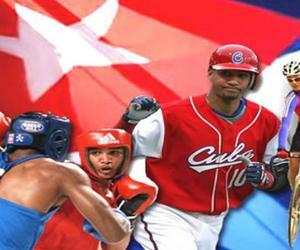 In Cuba, more than 60 000 athletes participate in this program, in 19 sports, including soccer, basketball, athletics, cycling, table tennis, swimming, weightlifting, floor hockey and tennis.